Thank you for your consideration! The 713 needs your help to keep our restoration work going forward. We are an all volunteer organization which means that 100% of your contributions go directly to supporting our mission. Our Goal is to get the LCI-713 fully operational. We have received grants from the State of Oregon enabling us to purchase the steel to do the job. We have the engines. We just need the $ for the shipyard time to do the work. Donations to the Amphibious Forces Memorial Museum are Tax Deductible per Federal 501 (c) 3 IRS Tax code. The AFMM announces our "Lifejacket Memorial Program". 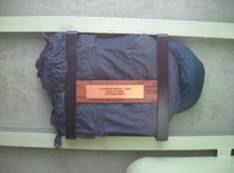 In exchange for a $250 donation, we will permanently mount a lifejacket with an inscribed plaque. 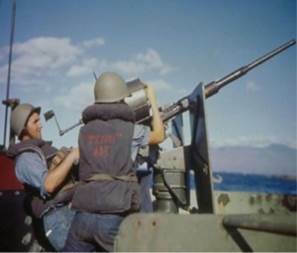 The lifejackets are authentic navy issue and were donated to the AFMM by the USS Salem. 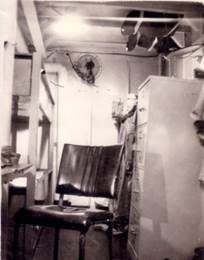 The lifejackets will be mounted with steel brackets to the overhead in the crew mess area, troop 2 museum area, or the crew quarters area on the LCI-713. The lifejacket will be memorialized with a 1 7/8" by 8" gold aluminum plate attached to a hardwood strip which is then attached to the lifejacket bracket. You may specify up to 3 lines and 30 characters per line of text for your inscription on the plate. In order to participate in the Lifejacket Memorial Program, simply make a contribution of $250 or more and we will contact you for the details. For a list of lifejacket inscriptions to date click here! 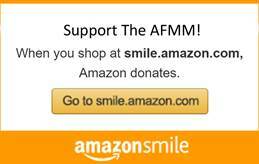 Use this link to attach your Amazon account to the AFMM, then shop at smile.amazon.com!